"In the early 1990s, Harlequin published a series of twelve romances each set in a different decade, mostly in the twentieth century, but featuring white authors and characters. More recently, romance author Wayne Jordan approached fellow authors about writing and publishing a similar series, but this time with a focus on African-American history. 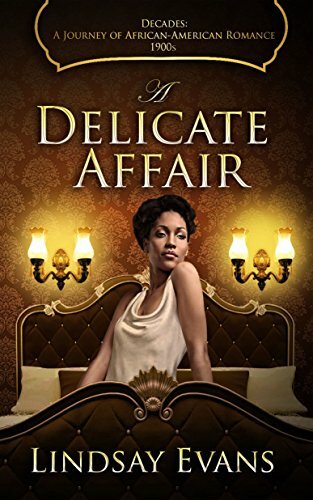 'A Delicate Affair' is the first book in the 'Decades: A Journey of African American Romance' series. What a cool idea! Adding this to my to-be-investigated mental list.